Went to be with His Lord on February 3,2019 at the age of 85. Loving and devoted husband to Gregoria (Barcellona), with whom he celebrated 60 years of marriage. Loving father to Joseph (Jennifer) Rustico, Alma (Brett)Gale, Marco (Nicole) Rustico, Mary (Phillip) de Montigny and Anthony Rustico. Beloved nonno to Alexandria (Jeremy) Sabell, Jesse, Felicia, Kassandra, Erica, Curtis, Selina and Matteo and bisnonno to Benjamin and Lyla. 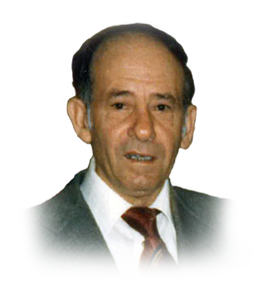 Carmelo will be missed by his siblings Benedetta and Felicia (both in Sicily) and predeceased by parents Maria (Torrentiono),Giuseppe Rustico and his siblings Natale, Rosaria (Sarina), Antonino and Salvatore. Carmelo will be missed and lovingly remembered by many nieces, nephews, cousins and friends. Carmelo immigrated to Canada in 1966, and began working as a cabinet maker. In subsequent years, Carmelo worked in construction and became a member of Local 494 Carpenter's and Joiners Union of Amercia. During his retirement, Carmelo spent his time making reproductions of antique furniture. If you so desire, donations to Canadian Red Cross or Windsor & Essex County Cancer Center Foundation would be appreciated by the family. Visiting Thursday February 7, 3:00 p.m. - 5:00p.m., 7:00p.m.-9:00p.m and on Friday February 8 from 9 a.m. until time of funeral service 10 a.m. at Families First 3260 Dougall Ave. South Windsor,519-969-5841.